PRISON inmates serving jail sentence at Harare Central Prison on Friday pleaded with Sunday Chidzambwa to afford them opportunity to play a soccer match with Warriors. One of the inmates Elias Mazhindu serving 12 years for robbery and impersonation approached Chidzambwa following his visit as ambassador of Zimbabwe Cotton Consortium company who were donating food and detergents worthy $10 000 dollars. “Coach Chidzambwa thank you for coming. You have added value to our faces and rejuvenated our souls by your visit,” said Mazhindu. 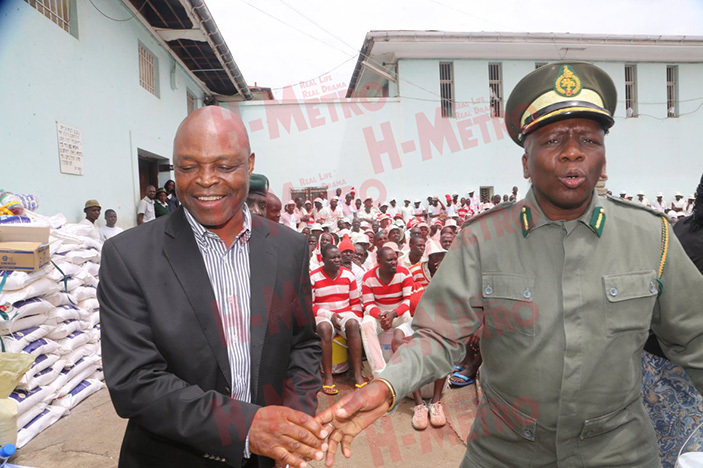 “Receiving visitors is one of the things that gives us hope and we want to thank our prison officers who gives us time to play soccer during incarceration as part of correcting and disintegrating us. “Can I take this opportunity to tell you that we miss to watch Warriors and if needs be, we would be happy if you arrange a soccer match and allow us to meet our Warriors here. “If it is impossible can you tell them to help us with jerseys and boots since we have chance to play soccer with other inmates at various prisons around the country,” said Mazhindu. 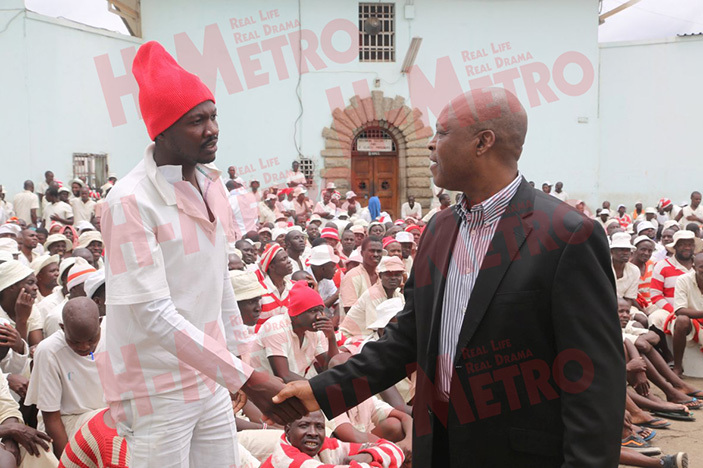 Chidzambwa promised Mazhindu to take his message to the Warriors after having a ‘kodak’ moments with the inmates.